Ok enough gushing about cookbooks you know what else I am obsessed with - this springtime vegetable flatbread. 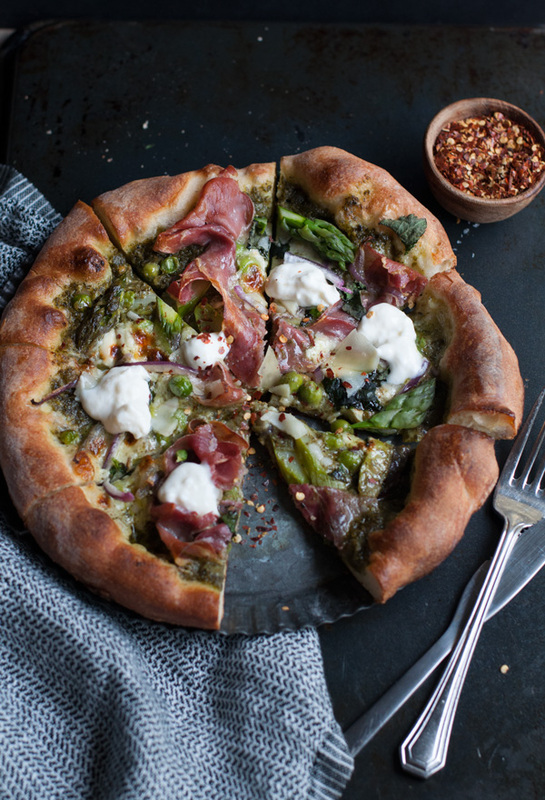 I know some people have thoughts on whether vegetables should be on pizza and I say yes, most definitely yes, especially when it is paired with prosciutto and burrata. Uh, yes please! 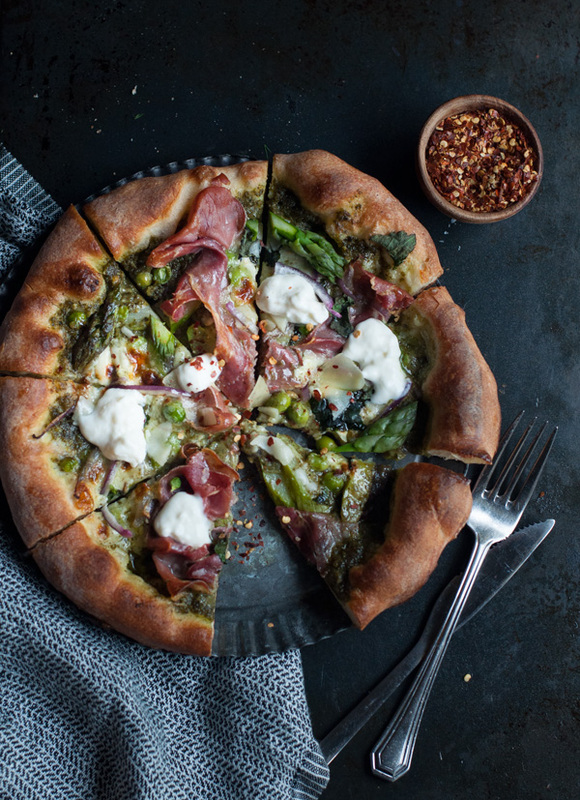 Plus I am sharing the easiest way to get delicious crispy and chewy pizza at home - use your cast iron skillet. You assemble the pizza on the stove in the cast iron pan over medium heat and then you finish it in a hot oven and voila you have perfect pizza in a matter of minutes. Oh and save yourself the time, buy pre made pizza dough and pre made pesto sauce. Sprinkle flour in a large cast iron skillet. Gently roll out half of the pizza dough and place it in the cast iron skillet, covering the bottom. Transfer the skillet to the stove and begin to cook over medium high heat. Carefully assemble the rest of pizza while the bottom of the pizza is cooking on the stovetop. 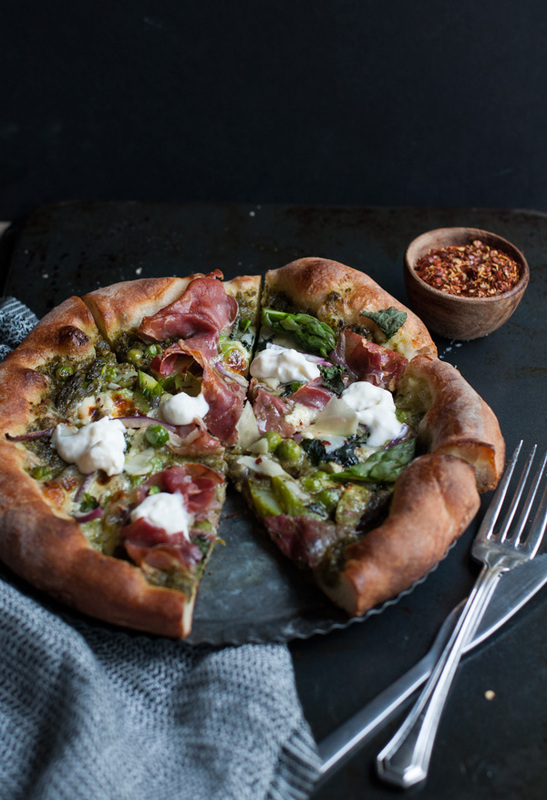 Add 2 to 3 tablespoons pesto, half of the asparagus, half of the peas, half of the red onion, half of the prosciutto and half of the burrata. Once the bottom of the pizza is set, transfer to the oven and cook for 8 to 10 minutes or until the pizza crust is golden brown and the cheese is bubbling. Garnish with fresh mint and more burrata.